Hackaday readers are well aware of the problems caused by materials left exposed to the environment over time, whether that be oxidized contact pads on circuit boards or plastics made brittle from long exposure to the sun’s UV rays. Now consider the perils faced by materials on the International Space Station (ISS), launched beginning in 1998 and planned to be used until 2028. That’s a total of 30 years in an environment of unfiltered sunlight, extreme temperatures, micrometeoroids, and even problems caused by oxygen. What about the exposure faced by the newly launched Tesla Roadster, an entirely non-space hardened vehicle on a million-year orbit around the sun? How are the materials which make up the ISS and the Roadster affected by the harsh space environment? Fortunately, we’ve been doing experiments since the 1970s in Earth orbit which can give us answers. The missions and experiments themselves are as interesting as the results so let’s look at how we put materials into orbit to be tested against the rigors of space. Love it or loathe it, launching a sports car into space is a hell of a spectacle, and did a great job at focusing the spotlight on the Falcon Heavy spacecraft. This led [Rogelio] to wonder – would it be possible to snap a photo of Starman from Earth? [Rogelio] isn’t new to the astrophotography game, possessing a capable twin-telescope rig with star tracking capabilities and chilled CCDs for reducing noise in low-light conditions. Identifying the location of the Tesla Roadster was made easier thanks to NASA JPL tracking the object and providing ephemeris data. Imaging the Roadster took some commitment – from [Rogelio]’s chosen shooting location, it would only be visible between 3AM and 5:30AM. Initial attempts were unsuccessful, but after staying up all night, giving up wasn’t an option. A return visit days later was similarly hopeless, and scuppered by cloud cover. It was only after significant analysis that the problem became clear – when calculating the ephemeris of the object on NASA’s website, [Rogelio] had used the standard coordinates instead of the actual imaging location. This created enough error and meant they were looking at the wrong spot. Thanks to the wide field of view of the telescopes, however, after further analysis – Starman was captured, not just in still, but in video! [Rogelio]’s work is a great example of practical astronomy, and if you’re keen to get involved, why not consider building your own star tracking rig? Video after the break. Are There Better Things To Hurl Into Orbit Than A Sports Car? We’ve been having a lively discussion behind the scenes here at Hackaday, about SpaceX’s forthcoming launch of their first Falcon Heavy rocket. It will be carrying [Elon Musk]’s red Tesla Roadster, and should it be a successful launch, it will place the car in an elliptical orbit round the Sun that will take it to the Martian orbit at its furthest point. On one hand, it seems possible that [Musk]’s sports car will one day be cited by historians as the exemplar of the excesses of the tech industry in the early 21st century. After all, to spend the millions of dollars required to launch the largest reusable space launch platform ever created, and then use it to hurl an electric vehicle into orbit round the Sun seems to be such a gratuitous waste of resources, an act of such complete folly as to be criminal. Surely even given that there is a reasonable chance of a first launch ending in fiery destruction it must be worth their while canvassing the universities and research institutions of the world with the offer of a free launch, after all there must be a significant amount of science that would benefit from some cost-free launch capacity! It seems a betrayal of the famous “Why explore space” letter from the associate science director of NASA to a nun who questioned the expenditure while so many in the developing world were starving. But on the other hand, first launches of rockets are a hazardous endeavour, as the metaphorical blue touchpaper is lit on the world’s largest firework for the first time. Satellites are expensive devices, and it would be a foolhardy owner who entrusted their craft to a launch vehicle with a good chance of a premature splashdown. Launch of first Arianne 5. Not where you want your pricey satellite. There is a fascinating question to be posed by the launch of the car, just what did they have to do to it to ensure that it could be qualified for launch? Satellite manufacture is an extremely exacting branch of engineering, aside from the aspect of ensuring that a payload will work it must both survive the launch intact and not jeopardise it in any way. It’s safe to say that the Roadster will not have to function while in orbit as the roads of California will be far away, but cars are not designed with either the stresses of launch or the transition to zero gravity and the vacuum of space in mind. Will a glass windscreen originally specified for a Lotus Elise on the roads of Norfolk shatter during the process and shower the inside of the craft with glass particles, for example? There must have been an extensive space qualification programme for it to pass, from vibration testing through removal of any hazards such as pressurised gases or corrosive chemicals, if only the folks at SpaceX would share some its details that would make for a fascinating story in itself. So the Tesla Roadster is a huge publicity stunt on behalf of SpaceX, but it serves a purpose that would otherwise have to have been taken by an unexciting piece of ballast. 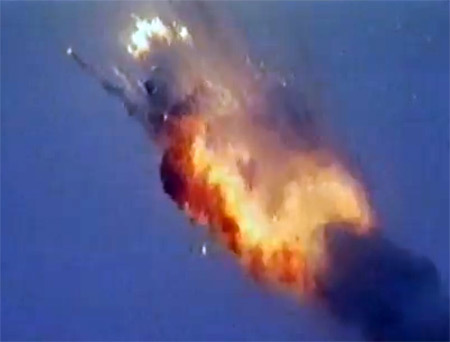 It will end up as space junk, but in an orbit unlikely to bring it into contact with any other craft. If its space-suited dummy passenger won’t be providing valuable data on the suit’s performance we’d be extremely surprised, and when it is finally retrieved in a few centuries time it will make a fascinating exhibit for the Smithsonian. 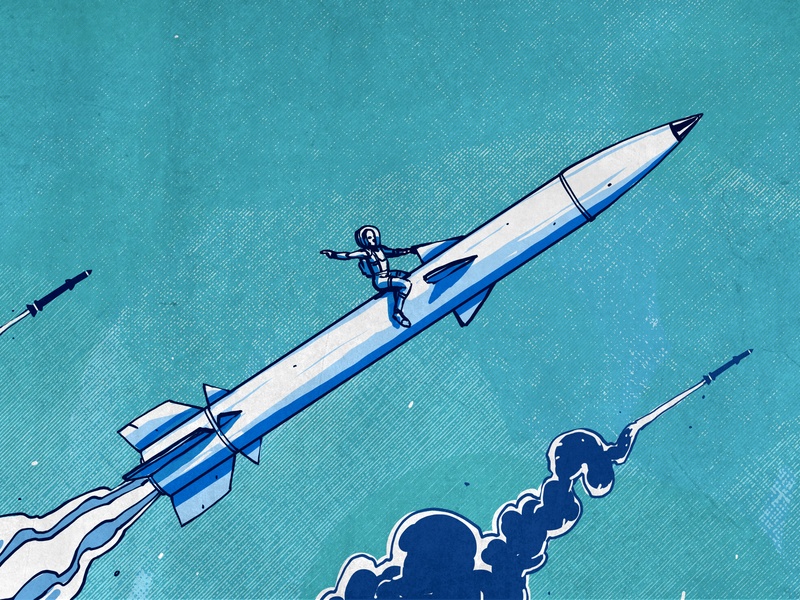 Given a huge launch platform and the chance to fill it with a novelty item destined for orbit,the Hackaday team stepped into overdrive with suggestions as to what might be launched were they in charge. They varied from Douglas Adams references such as a heart of gold or a whale and a bowl of petunias should the rocket abort and the payload crash to earth, to a black monolith and a few ossified ape remains to confuse space historians. We briefly evaluated the theory that the Boring Company is in fact a hiding-in-plain-sight construction organisation for a forthcoming Evil Lair beneath the surface of Mars, before concluding that maybe after all the car is a pretty cool thing to use as ballast for a first launch. It may be reaching towards seven decades since the first space programmes successfully sent rockets beyond the atmosphere with the aim of exploration, but while the general public has become accustomed to them as routine events they remain anything but to the engineers involved. The Falcon Heavy may not have been developed by a government, but it represents every bit as astounding an achievement as any of its predecessors. Flinging an electric vehicle into orbit round the Sun is a colossal act of showmanship and probably a waste of a good car, but it’s also more than that. In hundreds of years time the IoT devices, apps, 3D printers, quadcopters or whatever else we toil over will be long forgotten. But there will be a car orbiting the Sun that remains a memorial to the SpaceX engineers who made its launch possible, assuming it doesn’t blow up before it gets there. What at first seemed frivolous becomes very cool indeed. One of my favorite types of science fiction character is found in the books of Ben Bova; a business mogul who through brilliance, hard work, and the force of personality drives mankind to a whole new level in areas such as commercializing space, colonizing the stars, battling governments, and thwarting competitors. It is possible to name a few such characters in real life — influencing the electricity industry was George Westinghouse, automobiles was Henry Ford, and more recently Steve Jobs and Elon Musk. With Elon’s drive we may all finally be driving electric cars within 20 years and spreading out into space with his cheap rockets. Due to the latter he may be the closest yet to one of Bova’s characters. So what’s it like to work for Elon Musk at Tesla or SpaceX? Most of us have read articles about him, and much that he’s written himself, as well as watched some of his many interviews and talks. 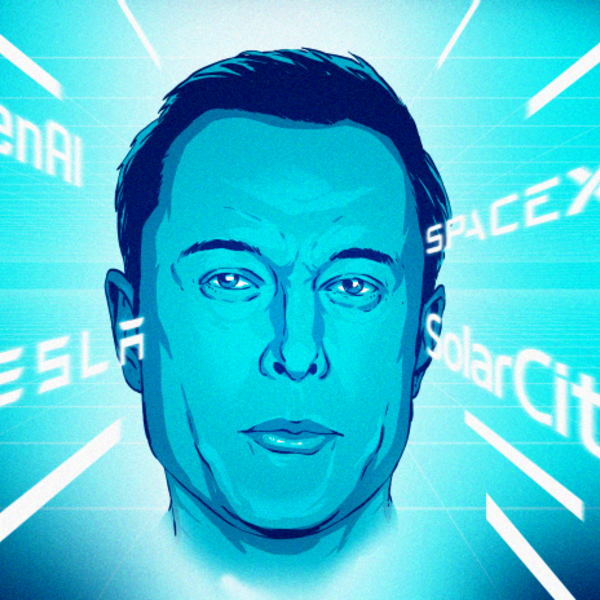 But to get some idea of what it’s like to work for him I greatly enjoyed the insight from Ashlee Vance’s biography Elon Musk – Tesla, SpaceX, and the Quest for a Fantastic Future. To write it Vance had many interviews with Musk as well as those who work with him or have in the past. Through this we get a fascinating look at a contemporary mogul of engineering. There is a device under test out there that promises to take humans to another star in a single lifetime. It means vacations on the moon, retiring at Saturn, and hovercars. If it turns out to be real, it’s the greatest invention of the 21st century. If not, it will be relegated to the history of terrible science right underneath the cold fusion fiasco. It is the EM drive, the electromagnetic drive, a reactionless thruster that operates only on RF energy. It supposedly violates the laws of conservation of momentum, but multiple independent lab tests have shown that it produces thrust. What’s the real story? That’s a little more complicated. The EM Drive is a device that turns RF energy — radio waves — directly into thrust. This has obvious applications for spacecraft, enabling vacations on Mars, manned explorations of Saturn, and serious consideration of human colonization of other solar systems. The EM drive, if proven successful, would be one of the greatest inventions of all time. Despite the amazing amount of innovation the EM drive would enable, it’s actually a fairly simple device, and something that can be built out of a few copper sheets. Michael Welling has updated the log for LoFive.